Bhopal: Madhya Pradesh Chief Minister Shivraj Singh Chouhan is in the midst of a raging controversy over documents said to have been recovered by the Income Tax Department during raids conducted earlier on Sahara Group that point to alleged payment of Rs. 10 lakh to “MP CM” in two installment on 29 September and 1 October, 2013. 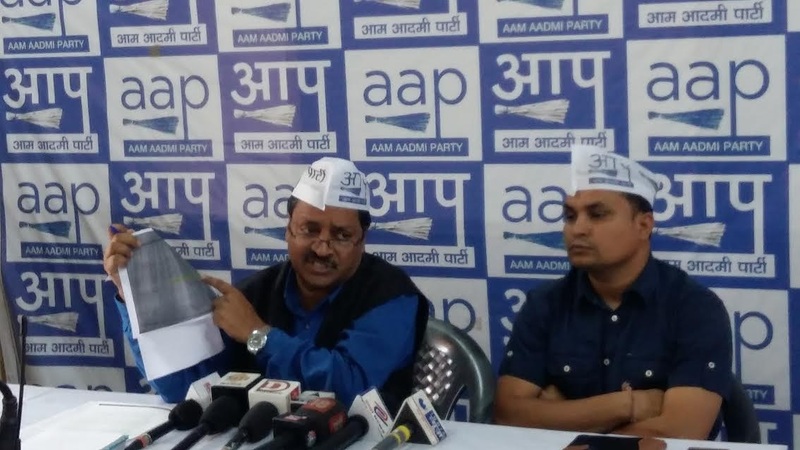 The Aam Aadmi Party (AAP) today demanded that the Madhya Pradesh Chief Minister should explain to the people why he took this huge amount of money and what he has done with it. The chief of the Madhya Pradesh unit of AAP, Alok Agarwal, who addressed media-persons here today, has demanded that a Special Investigation Team (SIT), under the supervision of the Supreme Court of India, should investigate this extremely serious matter. In a statement, AAP has pointed out that on 22 November 2014, the Income Tax department had raided the offices of Sahara Group and seized some incriminating documents. 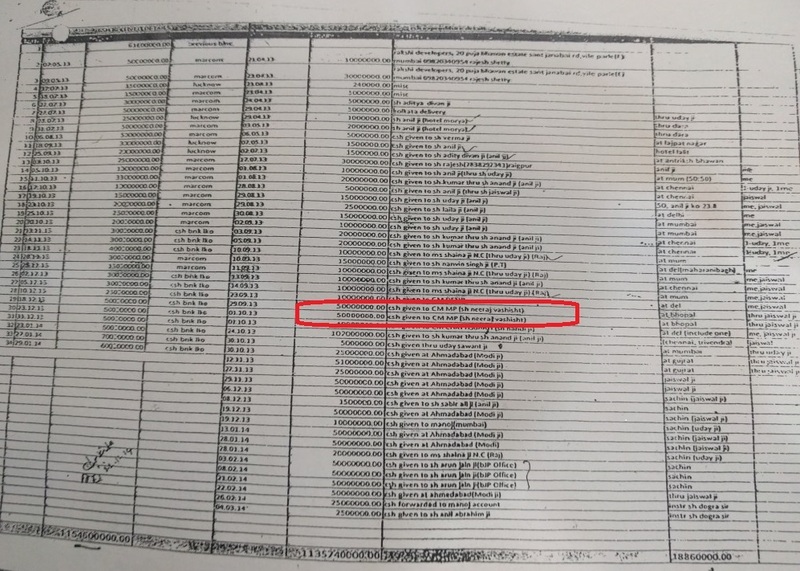 There is an entry in one of these documents showing that the CM MP was given Rs. 5 crore through an officer on 29 September 2013. Again on 1 October, there is an entry showing another payment of Rs. 5 crore to the MP CM. In this way, a total of Rs. 10 crore is shown as having been paid in cash to the MP CM. The AAP statement further says that during the period in question, Shivraj Singh Chouhan was the State Chief Minister and the officer in question was posted at the chief minister’s residence. The documents, according to AAP, carry the signature of Ankita Pandey, Deputy Director, Income Tax Department. This signature has been found to be genuine in a forensic test conducted at the initiative of senior Supreme Court lawyer Ram Jethmalani. AAP today circulated copies of the documents in question (allegedly seized by the IT department). 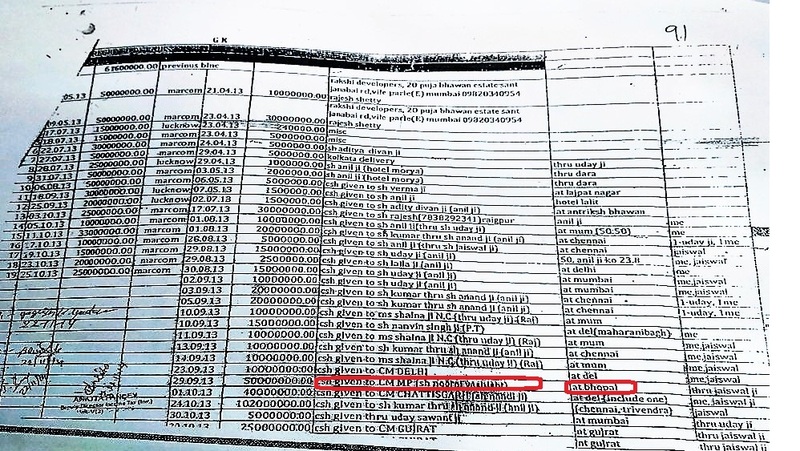 These also show that besides the MP chief minister, huge payments allegedly were also made to the chief ministers of Gujarat, Chhattisgarh and Delhi. The Hindu earlier on 15 November published a news story with the heading “Bhushan seeks investigation into political payouts”. The Hindu story has brought in sharp focus “Sets of documents, allegedly recovered during raids by the Income Tax Department and the CBI from the premises of two major industrial houses, detailing massive payouts to prominent politicians” on the basis of a complaint filed with the Central Board of Direct Taxes (CBDT) by senior advocate Prashant Bhushan.